Girls want to be Outdoor Explorers! 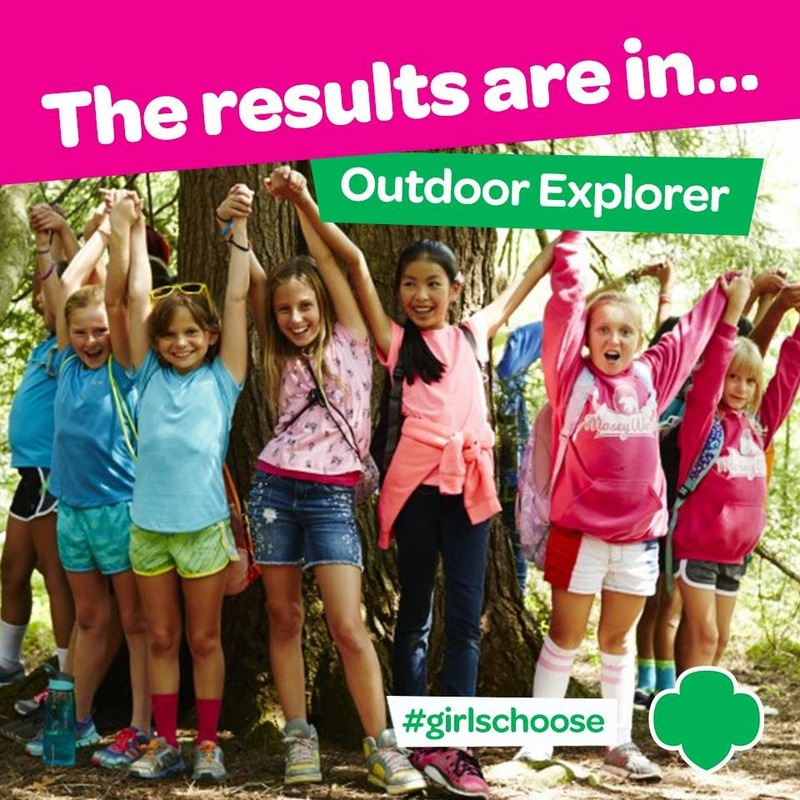 We’re excited to announce that girls and adults overwhelmingly selected Outdoor Explorer as the topic for the next series of outdoor badge offerings! In the month of November, Girl Scouts of the USA began the polling process for the Girls’ Choice Outdoor Badges by giving girls the option to vote on three themes: Outdoor Recreation, Outdoor Environment and Outdoor Survival. Then in December, girls selected their favorite topics from options within Outdoor Recreation. The choices were: Outdoor Challenge, On or in the Water and Outdoor Explorer. Outdoor Explorer was the clear front-runner. Now the real work begins! We are rolling up our sleeves to begin the work of writing the badge activities. Each badge will have five steps and three choices per step. It’s a long process to write badges but we will make sure that they are girl approved! So keep your eyes on March 12 when final badge activities will be announced!